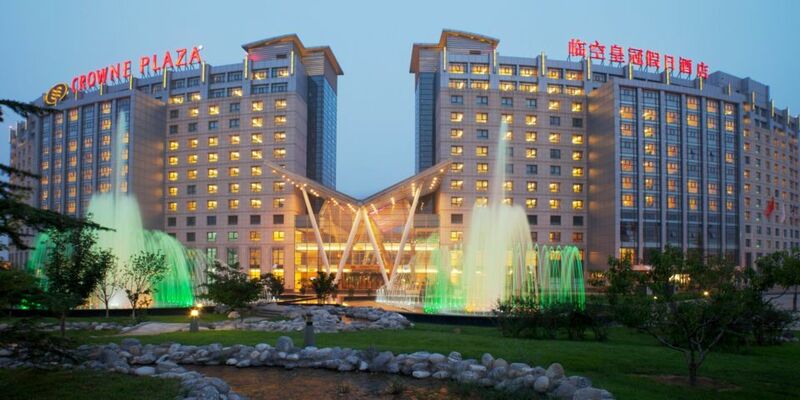 Crowne Plaza Beijing International Airport is located near the Beijing Capital International Airport and across from New China International Exhibition Center. 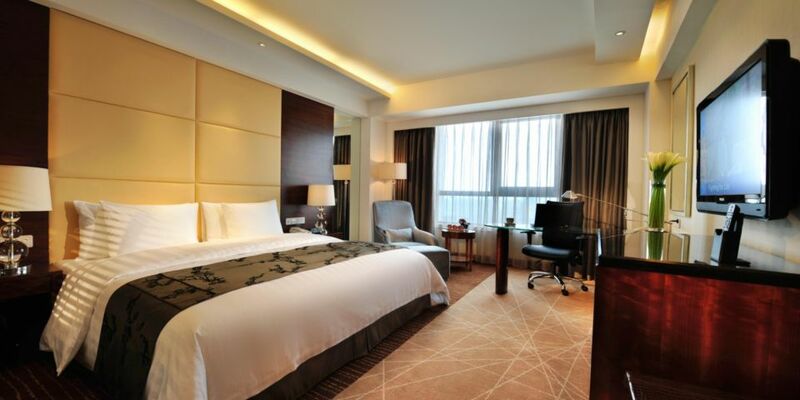 The hotel provides a free shuttle bus to the airport and 24-hour Crowne Cafe dining. 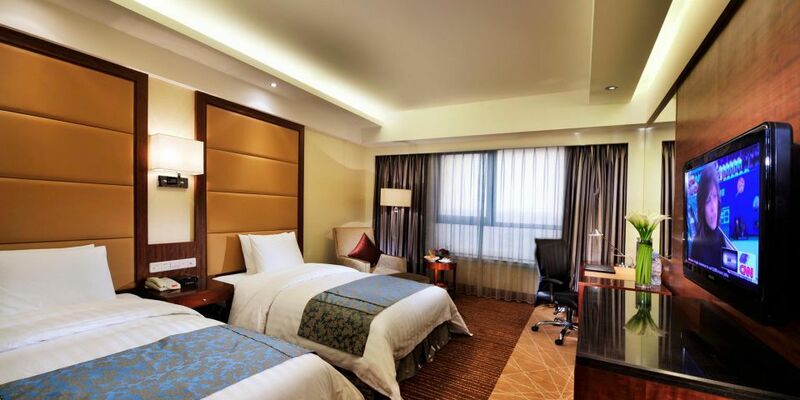 The hotel features Superior and Deluxe rooms with Double or Twin beds, as well as Crowne Plaza Club rooms. 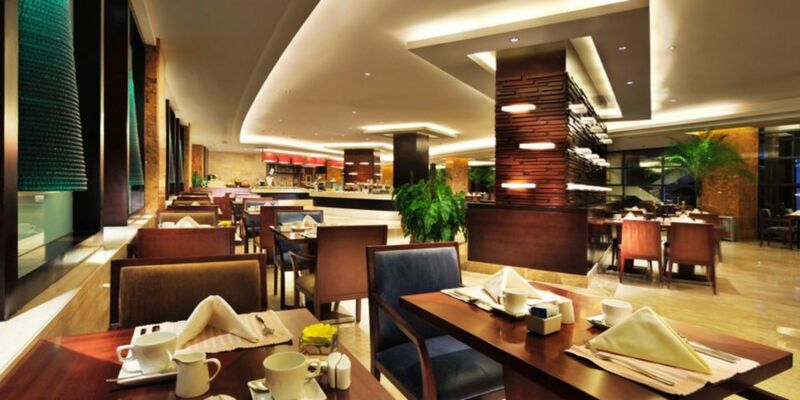 Crowne Cafe offers breakfast, lunch and dinner buffet, as well as a 24-hour a-la-carte menu. 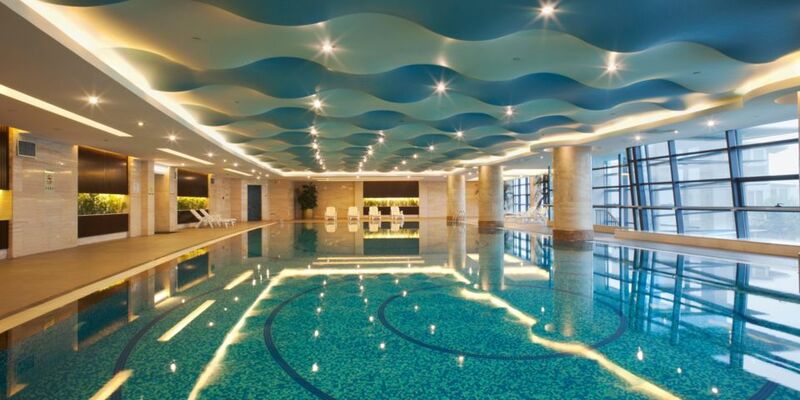 Exquisite dishes representing Western and Asian cuisines are prepared in a large open kitchen. Crowne Cafe is located on the 1st floor in Tower 2. Jing Tai Palace serves delicious Cantonese and Sichuan specialties prepared by master chefs and presented in a modern, upscale dining environment. Lunch 11:30 – 14:30 and dinner 17:30 – 22:00. Jing Tai Palace is located on the 2nd floor in Tower 1. 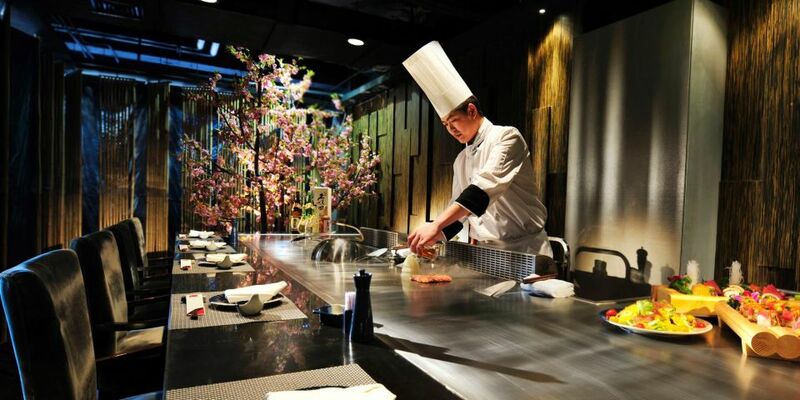 Modern Japanese restaurant Yozakura features teppanyaki style fare prepared in private rooms. An extensive wine and sake menu is also on offer. Lunch 11:30 – 14:30 and dinner 17:30 – 22:00. Yozakura restaurant is located on the 2nd floor in Tower 1. 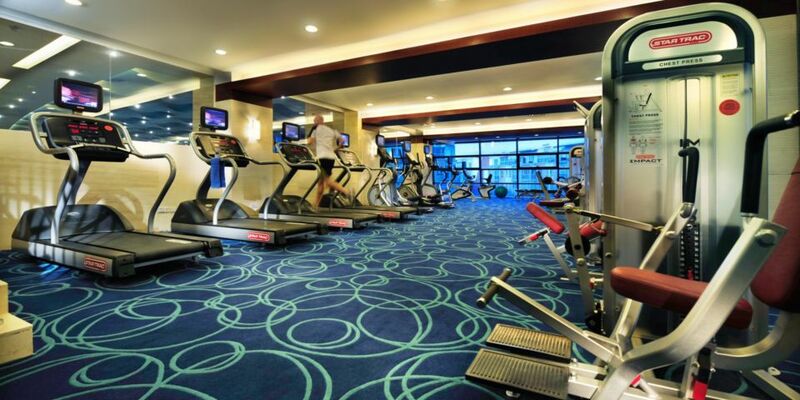 The hotel fitness center is open from 6:00 am to 11:00 pm and offers a variety of exercise equipment, including treadmills, cycles, stair climbers and free weights. The fitness center is located at Tower 2 on levels 2 and 3.